Parsons: "It's probably lucky for Nicaragua that the vile choice of colours in this flag prevents me from seeing what's written on it." He dislikes the "Writing," the "Bad Colours," the "Bad Shape" (? ), and the "Graven Images," and gives it a "D", 40/100. Michael5000: I've seen the Nicaraguan flag criticized somewhere for not only including the country's name, but it's address -- the text that Parsons couldn't see reads "Republica de Nicaragua - America Central." 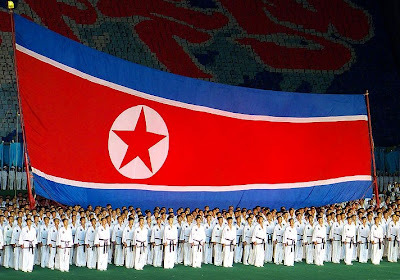 I tend to think of the flag of consisting of a blue-white-blue tricolor ("vile choice of colours"?) with a hoop of gold text surrounding a central triangle. It's when you get into the triangle that things get fussy, pictorial, and strange, with a radiant "cap of freedom" hovering over a mountain range and under a volcano. Trippy, and pretty much a total fail on the Betsy Ross front. Parsons: "Good Shape." A "B-", 65/100. Michael5000: I always likes it when a flag pops up that combines very simple elements in an unusual way, and Niger's circle-in-a-tricolor scheme is a great example. It's only too bad that the colors are so close to those of India, which has a circle-like figure within its own tricolor. 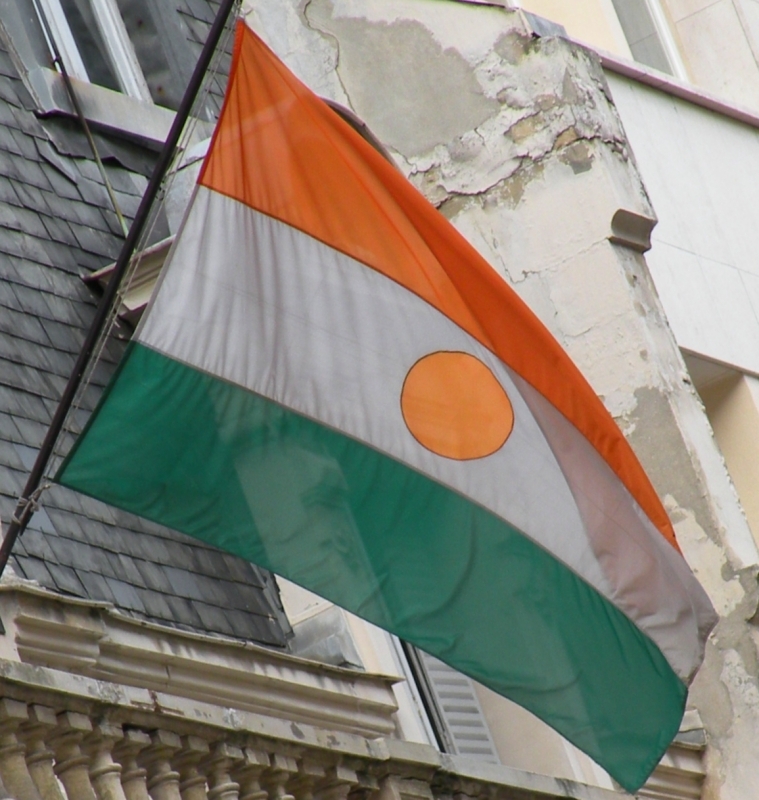 Officially, Niger's flag has a 6:7 ratio, which is just about as bad a shape as you can get without giving up the rectangle. Since no one, including the government of Niger (as opposed to the Nigerian government, which is interestingly something completely different) actually uses the almost-square layout, though, we can reasonably ignore it. 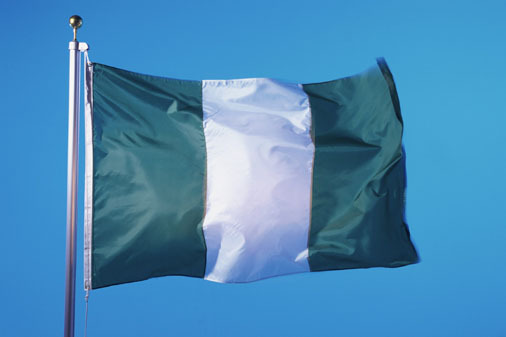 Parsons: Calling it a "Bad Tricolour," Parsons nevertheless gives it a "B," 70/100. Michael5000: Using common colors in a distinctive scheme that is immediately distinguishable from any other world flag, this is an excellent tricolor. It's not incredibly exciting, but it embodies the important flaggy virtues. Technically it's got the 1:2 ratio that we discovered last year is characteristic of former British colonies, but the online evidence suggests that it usually reverts to the 3:5 de facto standard. Parsons: "The star is very well placed with regard to the shape of the whole flag," writes Parsons, "but the overall design is just somehow lacking in zest." Yet its "Good Shape" must count for something, because he gives it an "A-", 80/100. 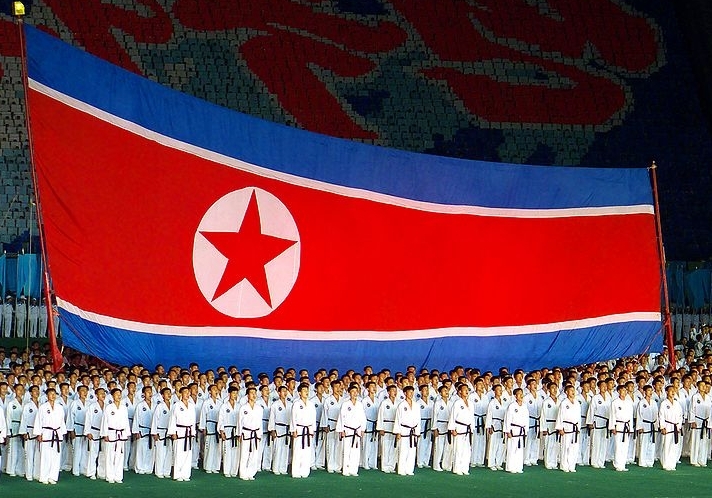 Michael5000: It's hard to find much to like about the DPRK, but their flag is pretty good. Of course, I'm a sucker for white striplets. The star-in-circle logo says "Texaco" to me, but I agree that having it offset inward is a nice touch. And this is a rare occasion that I think 1:2 is a good choice of ratio. Parsons: Without comment, it gets a "B", 74/100. 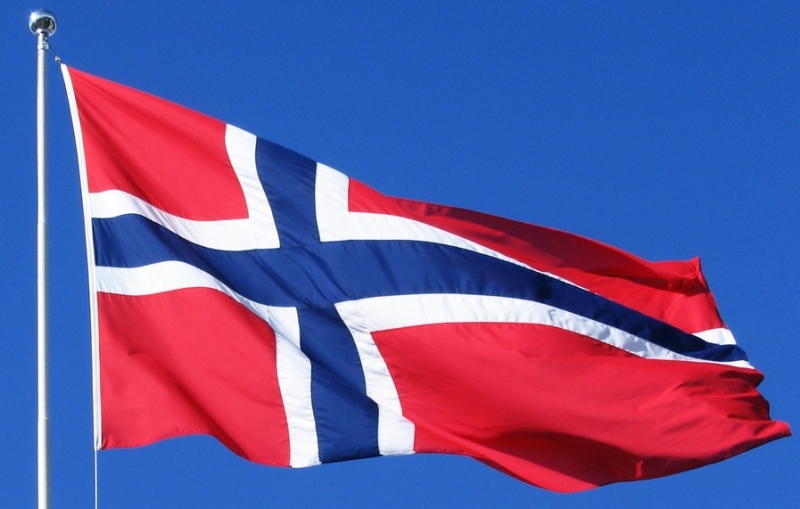 Michael5000: The flag of Norway is more or less the opposite of the flag of Iceland. And both of them are awesome. Another great edition of flag friday. Keep it up. I will forever associate the flag of Norway with cleaning and vacuuming. Damn, can those Norwegians party. And it so happens that I need to vacuum today. Your grading system makes more sense, I must say. Speaking of grades, I am totally relying on L&TM5000 for daily pick-me-ups after we get home from the endless task of post-flood clean-up. Unbelievable mess. Answer for the Wednesday Quiz??? I am hoping that at least one of my guesses was a good one. I knew several for sure this time!